Its been a few years since I last heard from Magnus Sellergren who is responsible for the always awesome Videogram that proclaims to be the original 1980's VHS-inspired horror synth project. I love me some 80's synth and Videogram always provides the fix I need. 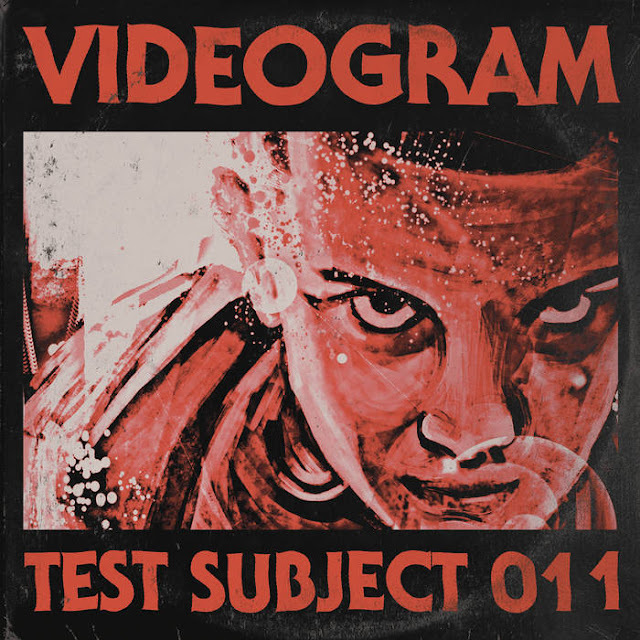 Last September saw the release of his 14th release, this was in the shape of a 4 track EP titled Test Subject 011 which to anyone with a passing interest in horror should see this is inspired by Stranger Things. The four tracks are made up of Hawkins National Laboratory (Intro) that clocks in at just 13 seconds. Title track Test Subject 011 is next and is just another great synth track, this one also has a video out for it. I love what Videogram does with its music videos as it always mixes clips from old films into a beautiful symbiotic relationship with the sound. Here is no different with an amazing looking mech battle playing out over the duration of the tune. Third track is Dr Brenner which fittingly uses a sound bite with his name in it, finally is the six minute long Hawkins National Laboratory (Outro). This latest EP can currently be purchased on the Videogram Bandcamp page (here), while this and all his albums and previous EPs are streaming on all the biggest platforms such as Spotify, Deezer and, Pandora. The biggest news being for music lovers, and certainly fans of Videogram's work is that Test Subject 011 is coming out as a 7" vinyl single in January 2018.